I’m SO happy to have Daniëlle from Food, Love and Happiness back again as a HIH contributor! She always has the most delicious ideas, so be sure to stop on by her blog and say hello! 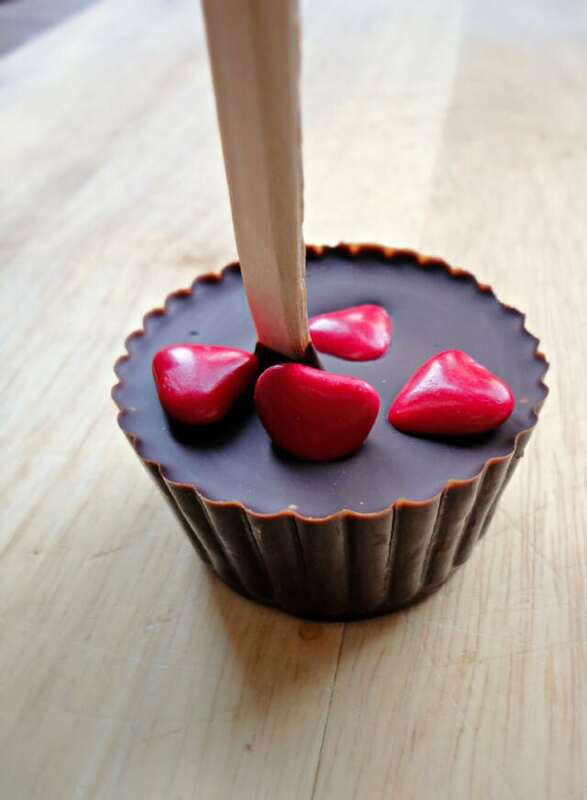 Valentine’s Day and chocolate…the one doesn’t go without the other. Well actually… of course we like our chocolate every day, but we like it even more on Valentine’s Day! 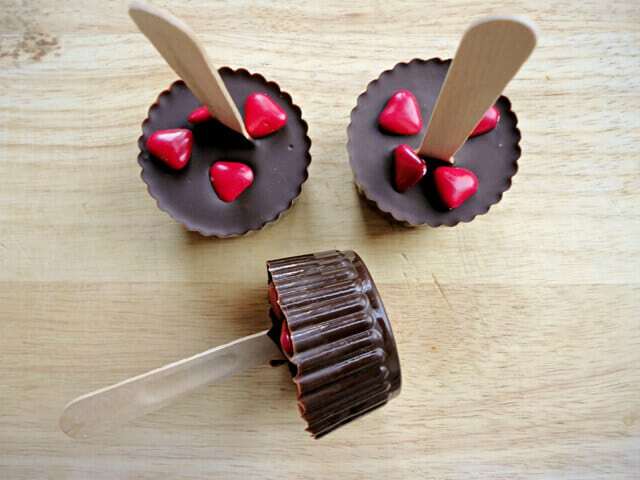 Here’s a nice and easy DIY: a sweet way to surprise your Valentine or a loved one. 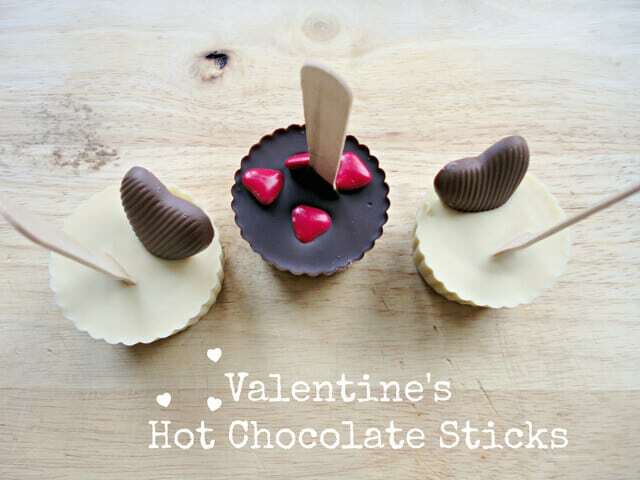 Make your own Valentine’s Hot Chocolate Sticks! Get comfy on your couch – or in your bed for that matter – with a big cup of hot milk, and stir these sticks through. Melt your chocolate au bain marie. Heat it until about 3/4 part is melted, take away from the heat and stir through. 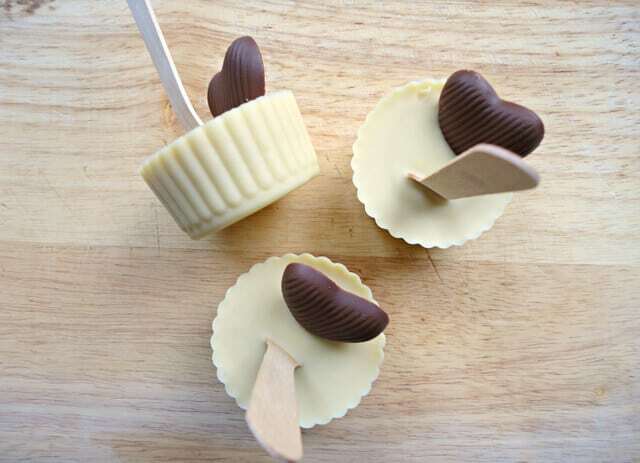 Pour the melted chocolate in the silicone molds, place the wooden sticks in the middle and let it set a little. 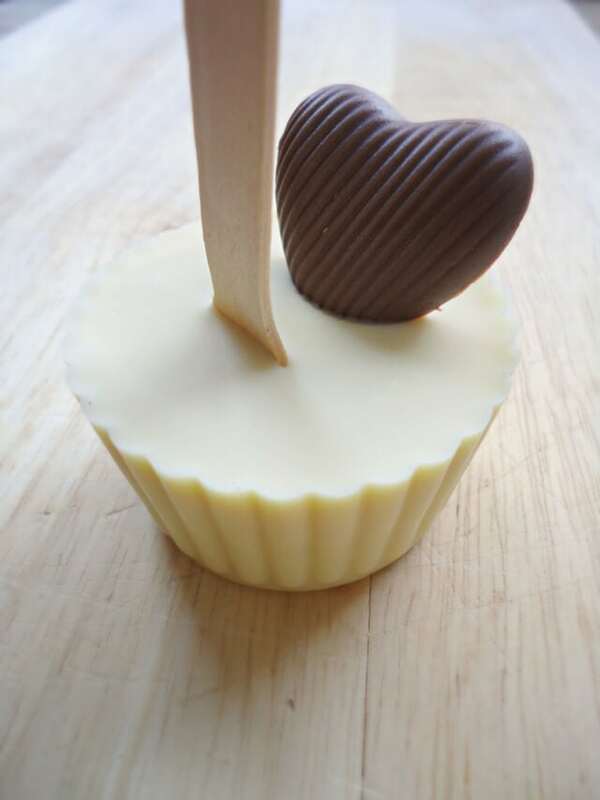 Once the chocolate is set a bit, place the heart shaped chocolates on top. Wrap these Hot Chocolate Sticks in some transparent wrapping paper, surprise your Valentine, and enjoy your hot chocolate together! What a sweet and simple idea, love it.